Tyshkevych, Mykhailo [Тишкевич, Михайло; Tyškevyč, Myxajlo] (Tyszkiewicz, Michel), b 20 April 1857 in Andrushivka, Lypovets county, Kyiv gubernia, d 3 August 1930 in Żydanowo, Poznań voivodeship, Poland. Count, diplomat, publicist, artist, and patron of Ukrainian culture. A descendant of a Polonized line of Lithuanian-Ukrainian nobility, he graduated from the Saint Petersburg Academy of Arts and studied abroad. After settling down on his estate in 1880, he devoted himself to the welfare of the peasants and became active in the Ukrainian populist movement. He established the Mykhailo Prize at the Prosvita society for the best historical novel or drama about Ukraine (1888), supported Ukrainian and Polish artists and writers, and donated 20,000 rubles to the Ukrainian Scientific Society in Kyiv on the centennial of Taras Shevchenko’s birth (1914). He founded several societies, such as the Catholic Union, the Union of Nobles and Landowners (1906), and the Kyiv Society of Peace Advocates (1907), to promote social and national progress. As a publicist he defended Ukrainian demands in Polish and Russian papers. In 1917 he was elected president of the Union of Ukrainian Catholics in Kyiv. During the First World War he lived in Lausanne, where he actively supported the cause of Ukrainian independence by publishing articles in the Western press and corresponding with influential political figures of the Entente. He supported the weekly L'Ukraine financially and helped establish the Ucraina information service. He was president of the Ukrainian-Lithuanian Society. In 1919 the Ukrainian National Republic government appointed Tyshkevych chief of its diplomatic mission to the Vatican and then of the delegation to the Paris Peace Conference. From 1920 he lived on his son’s estate near Poznań. 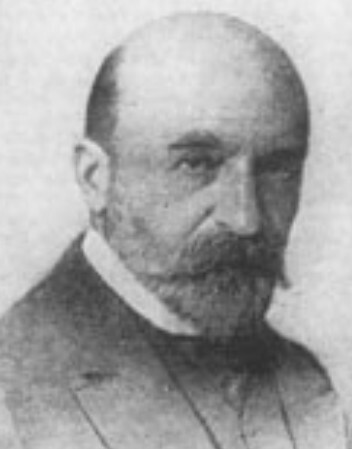 He financed the publication of Documents historiques sur l'Ukraine et ses relations avec la Pologne, la Russe et la Suède (1569–1764) (1919) and wrote the brochure L'Ukraine en face du Congràes (1919). Excerpts from his memoirs appeared in Literaturno-naukovyi vistnyk in 1928 and 1929.